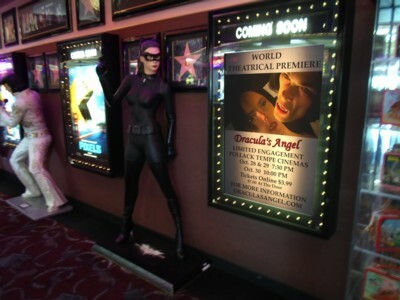 We had a very successful 3 day theatrical showing at the Pollack Tempe Cinemas in Tempe, Arizona. This took place at the end of October 2015 just before Halloween... how appropriate for a vampire movie. We had very positive comments from those attending and especially appreciated the wonderful and professional treatment we received from all of the staff at the theatre. I highly recommend this venue for anyone wishing to showcase their film. 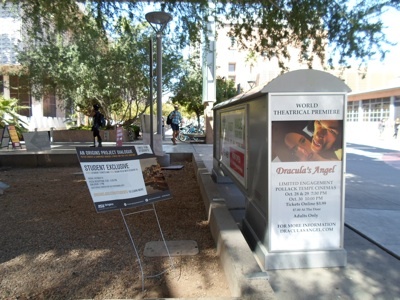 We chose to advertise on the ASU campus due to the large number of people that would be exposed to it and the proximity to the theatre. 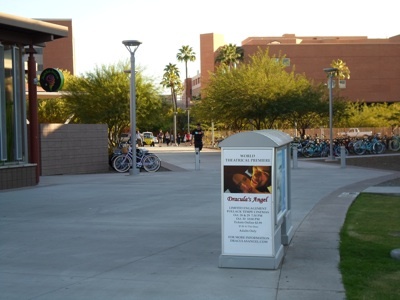 The staff at ASU were very helpful and the poster they printed turned out great.